If you’re looking for wedding food ideas that your guests will love, don’t miss our guide to the ultimate comfort food wedding menu. Is there anything more soothing and relaxing than our favourite comfort foods? Whether you love dishes inspired by your travels, hearty bowls or platters of childhood faves or the food that always makes you feel good, comfort food is just the best. So, why not create the ultimate comfort food wedding menu for your big day? You know that you’ll love these wedding food ideas and you can be sure that your guests will too. It’s time to tuck in! We’re seeing more and more comfort food on wedding menus these days and it’s easy to see why. Comfort food is not only super tasty, it’s also the relaxed alternative to a traditional style wedding menu. If you’re looking to create a laid-back vibe on your big day, you really need comfort food! 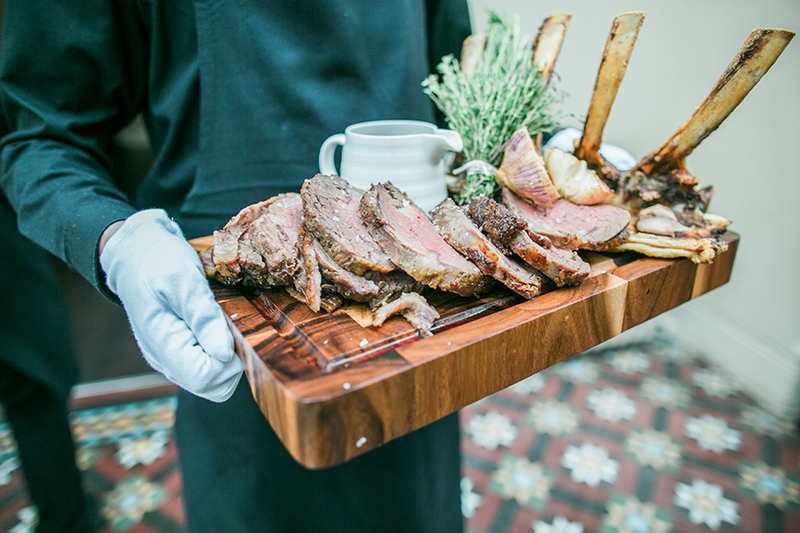 There’s no need to feel intimidated by a formal menu and there’s no need to worry that guests won’t like your choice. Comfort food really does have it all. So, what could you serve? Well, let’s start with your drinks reception and tiny, barely-there canapés are definitely out! Instead, think about gourmet pork sausages served with onion rings and chips, tiny shepherd’s pies or little bowls of mac ‘n’ cheese with garlic bread on the side. Yorkshire puddings served with beef and trimmings are always popular and our friends at Galloping Gourmet even offer mini fish and chips too. You can also opt for comfort drinks here too. 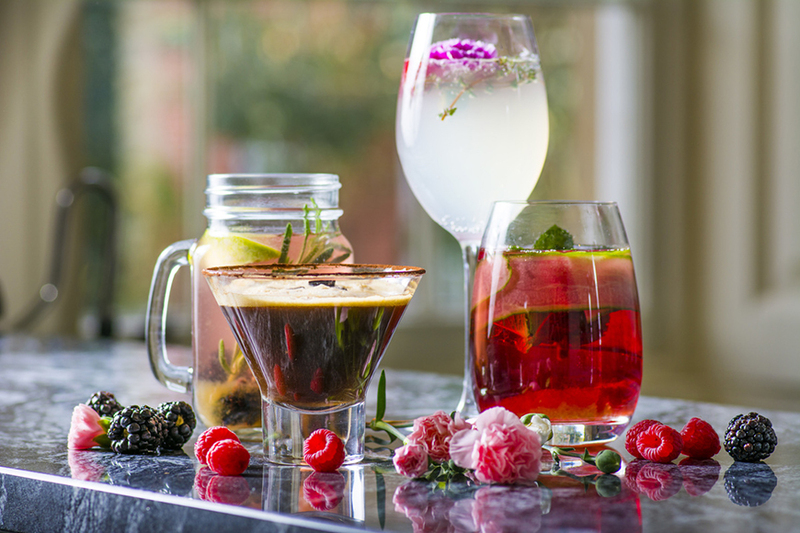 Say goodbye to fancy fizz and say hello to local ales or long, thirst-quenching cocktails. In winter, mulled wines and ciders are always a good idea or you could even serve delicious hot chocolate with whipped cream and marshmallows, or a shot of booze for the adults as an extra treat. Moving on to your wedding breakfast and, after such hearty canapés, there’s nothing to stop you going straight into your main course. However, starters can still be comforting – a bowl of steaming soup full of local or seasonal ingredients that’s served with fresh-from-the-oven bread is always popular. 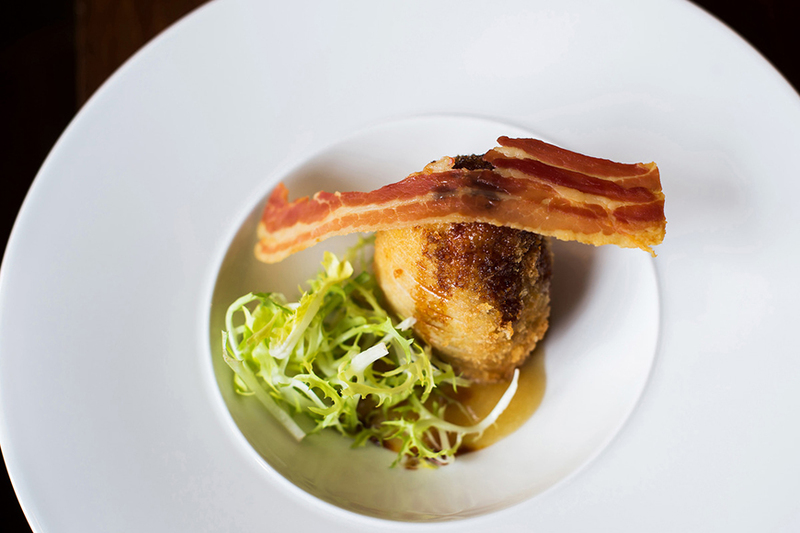 We also love handmade Scotch eggs or gourmet fishcakes. Everyone has their own comfort food favourite so bring yours out for your main course. It might be sausages and mash, a delicious pie or even a yummy pasta dish. You could even serve a casserole if you’d like – presented in individual dishes with a dumpling sitting on top, it’s totally wedding ready! You could even go for a roast dinner with all the trimmings. Who doesn’t love roast potatoes, Yorkshire puddings and beautifully roasted meat? Or, serve your meal, family style, to the table and let your guests help themselves for a super social twist on this favourite. Comfort desserts don’t scrimp on the calories so now’s not the time to serve something light! 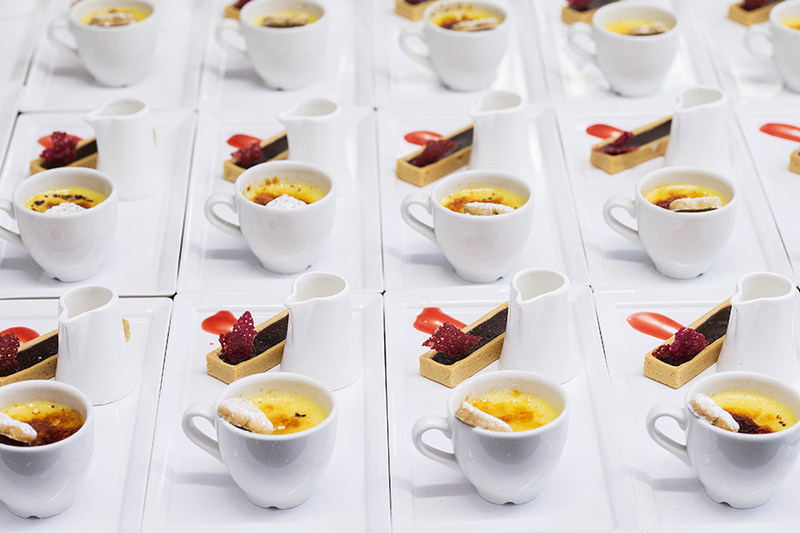 Instead, choose an indulgent dessert that will feel like a real treat. Sticky toffee pudding is an absolute classic and old-school favourites such as syrup sponge and bread and butter pudding are also popular. Obviously these need to come to the table with lashings of custard or ice cream to finish it off! Over the last few years, evening food has become really adventurous so bring out more comforting bites in the evening too. Think wood-fired pizza, pulled pork sliders, street-food style curries or classic barbecue favourites. 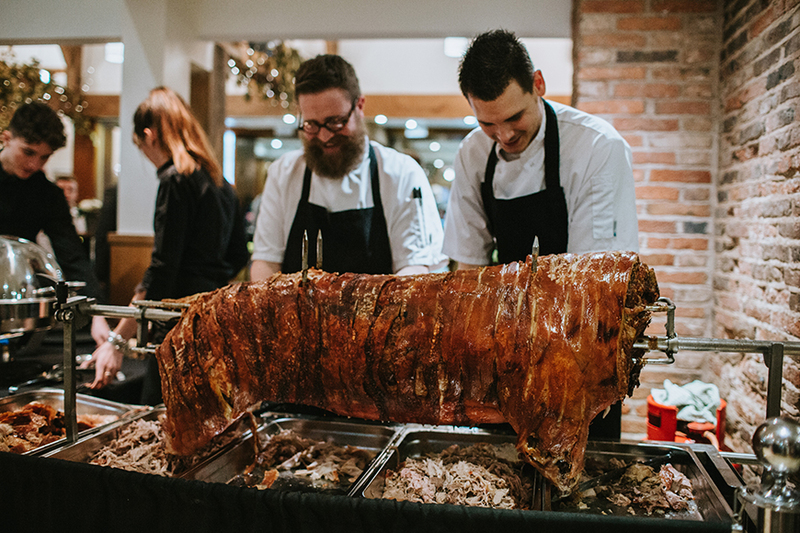 Alternatively, create a real spectacle with meat roasted on the spit or set up ‘chef stations’ featuring chicken fajitas, paella or a warming chilli. 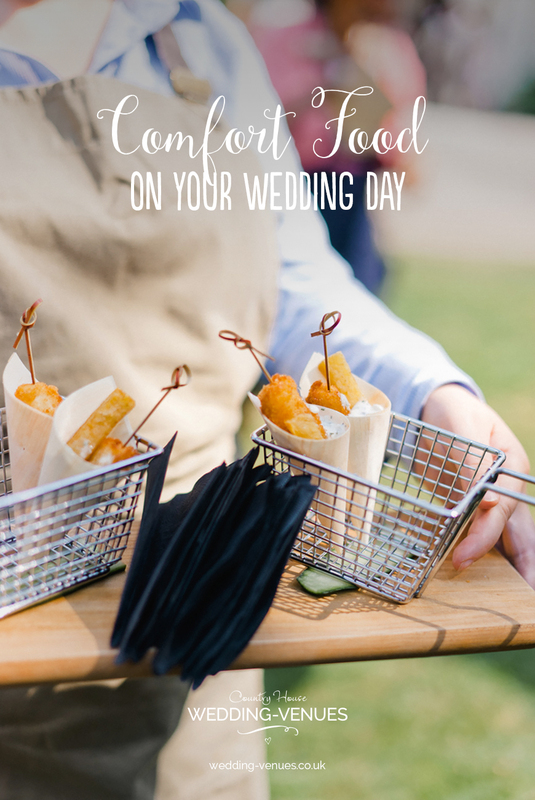 Whatever comfort food your choose, it still needs to feel special – this is your wedding day after all! Make sure that all of your food is going to be well presented and features the very best ingredients possible. Remember that your wedding day is a special day so these every day favourites have to dress up and get glam to be suitable for such a big occasion! 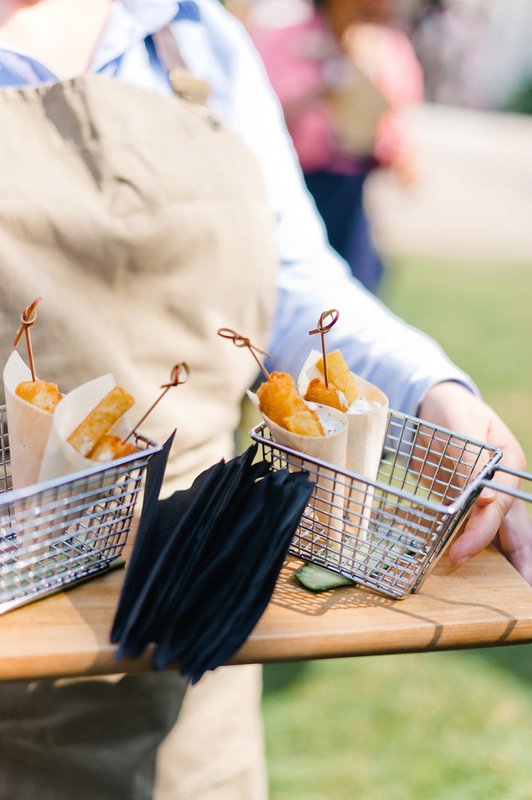 Now you’re thinking about food, take a look at these must-ask questions for your wedding caterer.